With packed agendas, both the GASB and the FASB will soon be issuing multiple proposals and statements. Already, public institutions are facing a major implementation on pensions in FY15, while independent institutions are watching for changes in the not-for-profit reporting model. In the month that many college and university fiscal years come to a close, a look back at the activities of the accounting standard setters is in order. The good news for FY14 is that neither public nor independent higher education institutions are facing challenging implementation endeavors. However, the agendas of both the Financial Accounting Standards Board (FASB) and the Governmental Accounting Standards Board (GASB) are full. Public institutions that follow GASB are facing a major implementation in FY15—pensions. Those institutions will also need to keep an eye on GASB’s work on OPEB (other post-employment benefits), fair value, leases, charitable remainder trusts, and a re-examination of the landmark Statement 34. Independent institutions that follow FASB are awaiting final standards on revenue recognition and leases. In addition, they should be alert to FASB discussions and decisions on credit losses, liquidity, disclosures, and private company matters. Of greatest significance, though, are proposals that will likely change the current not-for-profit reporting model. And, because the standard setters have a full menu of projects, all colleges and universities must continue to monitor activities in the pipeline. Two areas require immediate attention for public institutions, while several others bear watching. Statement No. 65, “Items Previously Reported as Assets and Liabilities,” is effective in FY14. This statement is not expected to pose significant implementation difficulties for two reasons. First, many public institutions began examining certain assets and liabilities that are considered deferrals when implementing Statement No. 63, “Financial Reporting of Deferred Outflows of Resources, Deferred Inflows of Resources, and Net Position.” Statement 63 outlined the financial reporting format for deferrals. Secondly, Statement 65 provides an inventory of items that are to be considered deferrals rather than assets and liabilities. Institutions must only examine the items in the standard, and are not supposed to contemplate the nature of assets and liabilities not mentioned in the standard. Refunds related to debt defeasance. Loan origination fees and costs. Fees related to loans held for sale. The second area of concern is Statement No. 68, “Accounting and Financial Reporting for Pensions—an Amendment of GASB Statement No. 27.” Although it is not effective until FY15, the work involved may be considerable and public institutions should be paying attention to its many requirements. The standard replaces the requirements of Statement No. 27, “Accounting for Pensions by State and Local Governmental Employers,” and Statement No. 50, “Pension Disclosures,” as they relate to pension plans administered as trusts. The standard classifies employers into three categories—single, agent, or cost-sharing—and transforms the way that pension expense, liabilities, and deferred outflows or inflows of resources are mea-sured, displayed, and disclosed in the external audited financial statements. Most public institutions’ defined benefit pension plans are structured as either agent multiple-employer plans or multiple-employer cost-sharing plans—with the latter being more prevalent. Of great concern for public colleges and universities is the construct of a collective liability that is introduced in the standard: If the pension plan has an unfunded liability, all participating employers in a multiple-employer cost-sharing plan collectively share a portion of the liability. Several public institutions have already indicated that their portion of the unfunded liability in their state will be substantial. Statement 68 creates a variety of issues that public institutions must begin thinking about and communicating to trustees and other relevant stakeholders. Because every state is different, public institutions will need to begin understanding how measurement and allocations will work, and their impact on financial statements. Institutions will also need to explore the degree of control they have to alter the types of benefits offered to employees. Several projects in the GASB pipeline bear watching. The most significant is OPEB; although the project conceptually parallels the pension standard, unlike pensions, many OPEB plans are “pay as you go” and may not contain a separately funded trust. Consequently, little or no assets are available to offset projected liabilities. In contrast to pensions, however, many governmental employers have greater discretion to alter the plans’ benefit parameters and participant eligibility. Public institutions should become familiar with the type of OPEB promises offered to past and current employees and track this project. Initial transaction date measurement, which represents the transaction price or amount assigned when an asset is acquired or a liability is incurred. Subsequent measurement, which represents the amount assigned to an asset or liability when the element(s) are remeasured as of the financial statement date. Earlier in 2013, the GASB issued its Preliminary Views (PV) on fair value, to which NACUBO responded on September 30. NACUBO’s comments drew from the extensive experience that many independent institutions have had with FASB’s measurement and reporting requirements especially as they relate to alternative investments. Although the 2013 NACUBO-Commonfund Study of Endowments indicates that close to 50 percent of the asset allocations of public institutions include alternative investment strategies, GASB’s literature offers no guidance for valuing or explaining these assets. An Exposure Draft (ED) was released for public comment in May. In April the board tentatively decided that the ED would not pose specific questions to respondents; rather, respondents will be encouraged to comment on all aspects of the proposal. Additionally, based on the due process efforts associated with the PV, the board tentatively agreed that neither a public hearing nor a user roundtable will be held. One of the newer projects added to the board’s pre-agenda research activities is the re-examination of GASB Statement No. 34, “Basic Financial Statements—and Management’s Discussion and Analysis—for State and Local Governments.” Although pre-agenda research is preliminary and doesn’t guarantee that a project will be added to GASB’s technical agenda, an April update at NACUBO’s Higher Education Accounting Forum by GASB Board Chair David Vaudt indicates that this will likely be a long-term project spanning several years. The financial reporting model has a pervasive influence over the effectiveness of financial reporting by state and local governments, and the ability of that reporting to achieve its objectives. As a result, the GASB decided that it was important, as part of its commitment to maintaining the effectiveness of its standards, to re-examine the current financial reporting model now that it has been in place for more than a dozen years. Statement 34 was the culmination of 15 years of research, deliberation, and due process. In it, the GASB established the present blueprint for state and local government financial reporting, including special-purpose governments engaged only in business-type activities (BTA). 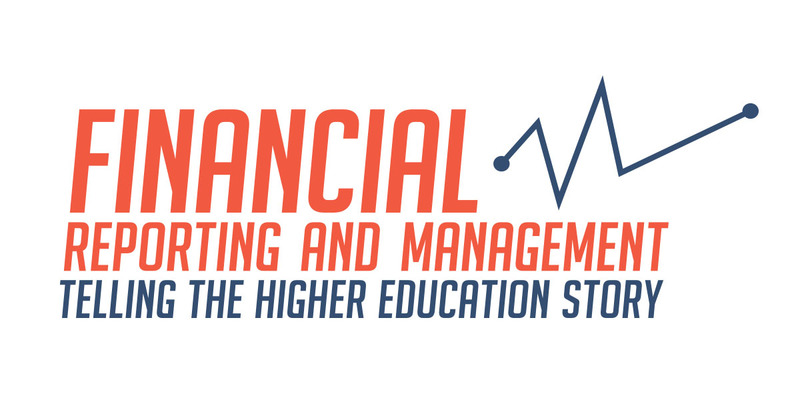 Among its many features, Statement 34 required BTAs, such as public colleges and universities, to present the financial statements required for enterprise funds using the economic resources measurement focus and accrual basis of accounting. Statement 34 also required a narrative MD&A to precede the financial statements, and added note disclosures related to (1) capital asset and long-term liability activity during the reporting period, and (2) segment information for activities reported in enterprise funds. What financial reporting model requirements are effective or ineffective in providing information that is essential for decision making, and that enhances the ability to assess a government’s accountability? What concerns exist regarding the application of the standards? How do the costs of applying the standards compare with perceptions of the benefits of the resulting information? In 2013, GASB staff held nearly a dozen roundtables across the country to gather input from users, preparers, and auditors. Three roundtables, which included higher education representatives, were entirely dedicated to BTAs. A common sentiment expressed at those roundtables was the inherent difference between enterprise funds and stand-alone BTAs such as public colleges and universities. The overwhelming majority of participants expressed dissatisfaction with GASB’s prescriptive presentation of operating results on the statement of revenue, expenses, and changes in net position. The feeling was that the focus on governmental support and subsidy makes sense only for a fund of the primary government, but does little to tell the story of legally separate business-type activities that must operate within their means and that generate many diverse revenue streams to support numerous—and sometimes complex—programs. In addition to the roundtables, the GASB staff is conducting an extensive literature review and archival research with governmental financial reports. The findings of this initial research will serve to inform additional research. GASB is expected to release a survey designed to obtain additional feedback before the end of the second quarter in 2014. 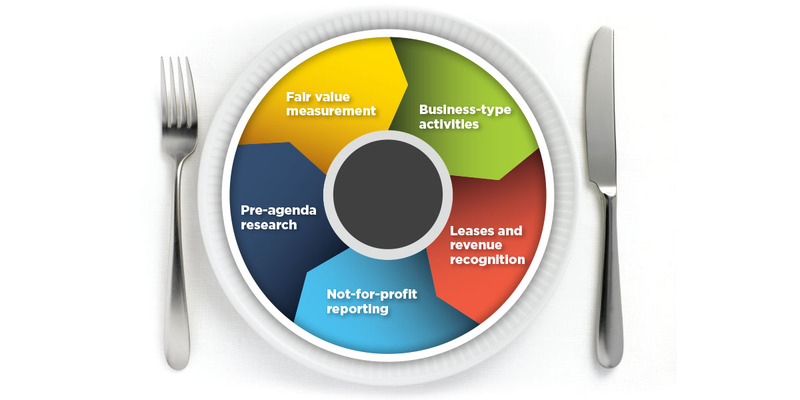 The FASB has a full plate as it continues to work through its convergence projects with the International Accounting Standards Board (IASB) as well as its other ongoing and pre-agenda research projects. Revisiting current net asset classifications in the hopes that relabeling or redefining them would improve how liquidity is portrayed and clear up current confusion concerning restrictions and the definition of unrestricted net assets. Improving the relationship between the statements of activities and cash flows to more clearly communicate financial performance through these two statements. Recently, the board has reached a number of tentative decisions that could significantly affect financial reporting by independent institutions. These preliminary decisions will serve as the basis for an exposure document expected to be issued in the second half of 2014. The following is a summary of those decisions. Keep in mind that these recommendations are tentative and subject to change. Operating measure. One of many drivers behind the proposal to define a measure of operations is the request for comparability among NFPs’ financial statements. A measure of operations allows an NFP to better tell its story by clearly presenting amounts available and used for current operations versus those held for longer-term purposes, either through donor or legal restriction, board designation, or other circumstances. A mission dimension, based on whether resources are related to the NFP’s primary mission. Items such as proceeds from investing activities would not be included in operations unless the NFP’s primary mission was to generate return on investments. An availability dimension, based on whether resources are available for current period activities, reflecting both external limitations and internal actions of an NFP’s governing board. An intermediate measure of operations would be required to be presented by all NFPs (except business-oriented health care entities that are currently required to provide a defined performance indicator). Many independent institutions already provide an intermediate measure of operations in their statement of activities (SoA), which typically follows NACUBO’s advisory guidance. A measure of operations would be presented in a format that would show all legally available mission-related revenues on a gross basis in the SoA. Amounts designated by the governing board for use in future periods would then be shown as reductions. In addition, the presentation would include amounts of previously unavailable resources that the governing board made available for use in the current period and amounts released from donor restriction in the current period. The requirement to show all revenues and support coming in to operations—and subsequently being transferred to nonoperating for donor restrictions, board designations and nonmission-related activities—would look much different from the current statement of activities. Net asset classes. The three classes of net assets currently required would be replaced with two classes of net assets: those with donor-imposed restrictions and those without. This would essentially remove the hard-line distinction between temporary restrictions and permanent restrictions. While no changes are anticipated to the composition of unrestricted net assets, the label would be changed to “Net Assets Without Donor-Imposed Restrictions.” The current “unrestricted” label tends to create misconceptions about the availability of those net assets. Many of FASB’s constituents have expressed concern and frustration about the need to continually educate NFP boards, management, and other stakeholders about the availability of unrestricted net assets. For example, most higher education institutions have a significant amount of capital assets on their books that are unrestricted but illiquid. Similarly, amounts designated by an NFP’s board as quasi-endowments are included in unrestricted but not available for general support of the institution’s operations. To avoid the potential loss of important information, disclosures about the composition of net assets at the end of the reporting period would be required. Disclosure about the use of donor-restricted assets (a roll-forward of activity for the period) would also be required. The proposed changes to the net asset classes have caused many higher education institutions to question how the rating agencies and the Department of Education would interpret the new presentation— specifically, how they might use the presentation to calculate the numerator, or “expendable net assets,” for an institution’s primary reserve ratio. Sufficient detail in the notes to the financial statements to facilitate an understanding of when and how net assets with donor-imposed restrictions can be used will be critical. Statement of cash flows. Cash flows from operating activities would be required to be presented using the direct method in the Statement of Cash Flows (SoCF). The board felt the direct method—already used to present cash flows from investing and financing activities—would improve the usefulness of the SoCF by providing more meaningful information to users of NFP financial statements. The current requirement to provide a reconciliation of the change in net assets to net cash flows from operating activities (the indirect method) would no longer stand. Interest and dividends received would be investing, rather than operating cash flows. Interest paid would be a financing, rather than an operating cash flow. Gifts for, and purchases of, fixed assets would be operating, rather than financing/investing cash flows. The proposed treatment of the acquisition of property, plant, and equipment (PP&E) in the SoCF and the statement of activities has raised concern. Specifically, the receipt and disbursement of cash for PP&E—including contributions for such purchases—would be included as operating activities in the SoCF. Those amounts would also be included in the operating metric in the statement of activities. That differs from how those activities are currently reflected in the statement of activities. While NAC members and others (such as NACUBO’s Accounting Principles Council) have expressed a strong desire for articulation between the operating statement and direct operating cash flows, they are generally not in favor of the proposed treatment of PP&E. Because public colleges and universities are required to prepare the SoCF using the direct method, the FASB’s proposed changes would be a step toward comparability across all of higher education. Public institutions say that although the initial preparation of a direct method SoCF requires some additional effort, on an ongoing basis the effort is not significantly different from that of using the indirect method. The preparation is largely a mapping exercise within existing systems to appropriately identify the various operating activities. Also, institutions currently using the direct method say they spend considerably less time educating management, board members, and other stakeholders about how the SoCF works, and more time analyzing the data presented in the statement. Presentation of expenses. NFPs would be required to present expenses by both functional and natural classifications within their financial statements. Currently, all NFPs must present expenses by function, but not by natural classification. The proposed guidance would require an analysis of the relationship between natural and functional expenses within the financial statements. The format of that analysis would not be prescriptive. Rather, NFPs could choose to present the information on the face of the statement of activities, in a separate statement of functional expenses, or in the footnotes either in a matrix format or as a narrative discussion. While no specific format would be required, a matrix that contains natural expenses by function will likely prove the easiest and most straightforward approach. In addition, all expenses—both operating and nonoperating—would be required to appear in the analysis. Nonoperating expenses such as interest expense, however, would not be required to be functionalized. While some independent colleges and universities present expenses by natural class on the face of the statement of activities, the majority of institutions still present expenses by function. Therefore, the requirement to provide an analysis of functional and natural expenses would require additional effort. That effort, however, is not expected to be significant because most institutions manage their operations by natural expense. In addition to the natural and functional expense analysis (using, for example, a matrix presentation), institutions should include a discussion of the methods for allocating overhead amounts to the various functions. Improvement of certain NFP-specific note disclosures. Expiration of capital restrictions and other display issues concerning capital transactions. An exposure draft is expected in the second half of 2014 with a final standard to be issued in 2015. A final standard on revenue recognition is expected to be issued by the end of May. It excludes contributions and collaborative arrangements such as many sponsored research arrangements, so it is not likely to have a significant impact on independent institutions. The standard will be effective for most institutions in FY18. Redeliberations on the leasing project are ongoing. FASB has received feedback on the proposals through comment letters on the revised exposure draft, public roundtables, and additional staff outreach. Based on that feedback, FASB has tentatively decided that all leases will be recorded as a right-to-use asset and a corresponding liability, but recognizes that not all leases are the same in substance. As a result, the model now being deliberated closely resembles the guidance in FASB Statement No. 13. Redeliberations are expected to continue for quite some time, so no date has been projected for a final standard to be issued. One final project that is likely to affect independent colleges and universities relates to development of a framework for disclosures. The project’s objective is to improve the overall effectiveness of note disclosures by clearly communicating only that information that is material and relevant to an entity’s financial statement users. That doesn’t necessarily mean a reduction in the number of disclosures, but rather disclosures that are relevant to the entity and relate to balances that are material to the entity’s overall financial position. During 2013, the FASB conducted field studies to better understand the use of discretion in the notes. Of the 23 field testers, six were colleges and universities. All of the higher education participants felt that application of the proposed framework would improve the effectiveness of their note disclosures. With so much in the pipelines of both the GASB and the FASB, NACUBO will be actively monitoring and communicating with the standard setting boards to ensure that the unique needs of higher education institutions are being considered. SUE MENDITTO is director, accounting policy, for NACUBO. KAREN CRAIG, Shell Beach, California, is an accounting project consultant for NACUBO. Public colleges and universities will be required to recognize unfunded pension liabilities for FY15, in accordance with GASB Statement No. 68, “Accounting and Financial Reporting for Pensions—an Amendment of GASB Statement No. 27.” Are you ready for it? Here are 10 ways you can prepare for the new standard. 1. Read the standard. Yes it’s long, but you need to know what you are up against. The summary is a good place to start. Next, you need to figure out what type of pension plan(s) you are in: single employer, agent multi-employer or cost-sharing multi-employer. Once you determine that, you can focus on those sections of the standard. 2. Read your pension plan(s) financial reports. I am embarrassed to say that—prior to the GASB 68 exposure draft—I had never looked closely at the comprehensive annual financial reports (CAFRs) of our cost-sharing multi-employer pension plans. It turns out that they contain a wealth of information, including an estimate of the total unfunded liabilities of the plan. In the Schedule of Funding Progress, find the unfunded actuarial liability for the defined benefit pension plan. The schedule will also include the total pension-eligible salaries for all employers in the plan. Write these numbers down—they are important pieces in the pension puzzle! 3. Estimate your unfunded pension liability. Compare the two numbers you obtained from the pension plan CAFRs. They give you a ratio of unfunded liability for each dollar of salary. For example, if the plan has a $1 billion unfunded liability and $500 million of annual salary, it has $2 of liability for every $1 of salary. You can apply this ratio to the pension-eligible salaries at your institution to estimate your share of the liability. Warning No. 1: The number may shock you. Warning No. 2: The number may change significantly when your pension plan implements GASB 67. Proportionate share (percent) for your institution. Expected versus actual investment returns. Changes in your proportionate share. Contributions made after the measurement date. Expected remaining service for employees in the plan (needed to amortize some of the deferrals). Plan descriptions and historical data for required supplementary information (RSI). 5. Talk to your pension plan administrators. Although the new pension standards do not require it, many retirement systems are making plans to provide cost-sharing employers with information on their proportionate shares of unfunded pension liabilities and deferrals. It’s important to understand what information will be provided and whether any audit procedures will be applied to it. 6. Talk to your board. Your board needs to understand what these pension liabilities are (important information on the funding status of the retirement system and your institution’s proportionate share of its unfunded liabilities) and what they are not (legal claims on your institution’s resources). Communicate estimated impacts to avoid surprises. 7. Talk to your auditors. Your auditors will have to get comfortable with what could be a huge new set of numbers in your financial statements. Start talking with them now to obtain information that will help you in planning. What are they hearing from the retirement systems? Have they seen pro-forma information, including the retirement systems’ planned method for calculating proportionate shares? Will they be able to rely on audit procedures performed at the system level? 8. Talk to your rating agencies. The debt-rating agencies are already factoring net pension liabilities into their calculations of your institution’s comprehensive debt. Moody’s, for example, calculates an adjusted net pension liability (ANPL) using discount rates that are significantly lower than those currently used by most retirement systems. This can result in a calculated ANPL that is two to three times larger than the net pension liabilities to be reported under GASB 68. Have an open conversation with your rating agency contacts about both the raw numbers and any mitigating factors (for example, legislation that trims benefits for future retirees). 9. Think about affiliates and “lift-out” reporting entities. If your institution has affiliates staffed by university employees, or you prepare separately audited financial statements for a segment of your institution (such as an academic medical center, athletics department, or public broadcasting station), you may need to allocate a portion of the unfunded pension liabilities and deferrals to them. 10. Think about other users of your financial reports. If your institution recognizes a large pension liability, it will negatively affect your primary reserve, viability, and other key financial ratios. In Ohio, we have state administrative rules that require our board of regents to place a state college or university on “fiscal watch” if its composite financial score—which is based on the primary reserve, viability, and net income ratios—falls below a certain threshold. Accreditation agencies increasingly use the Composite Financial Index—which is based predominantly on the primary reserve and viability ratios—as a gauge of institutions’ financial health. And when you start reporting a large and volatile pension expense in your IPEDS reports, you will need to work with your institutional research group to help them to understand what this pension expense is and what it is not. A common thread running through most of this to-do list is communication: What do preparers, users, auditors, board members, rating agencies, and other constituencies need to know about your GASB 68 implementation, and when do they need to know it? The implementation of GASB 68 is an opportunity for the accountants in your organization to lift their heads up from their spreadsheets and tell an important story about a complex, misunderstood, and costly employee benefit that millions of us are depending on for a secure retirement. TOM EWING is associate controller and director, financial reporting, The Ohio State University, Columbus.